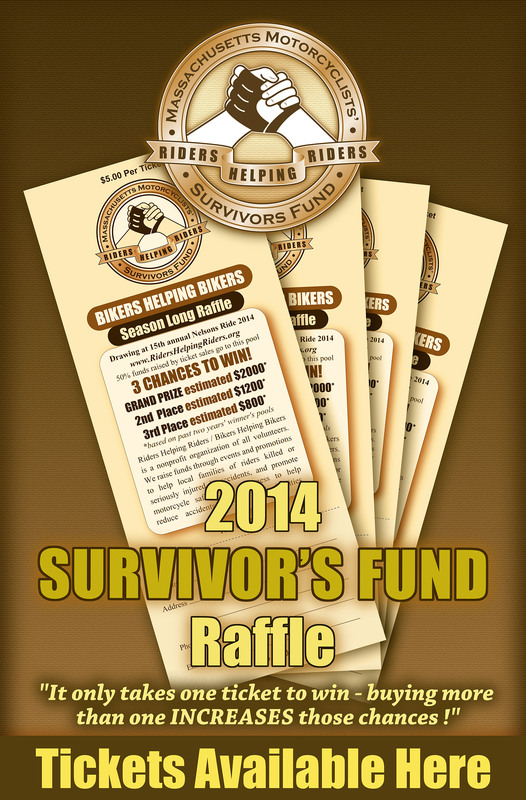 The Season Long Survivor’s Fund Raffle winner will be drawn at the 15th Annual Nelson’s Ride on August 17th, 2014. Half of the funds raised from the raffle go into the winner’s pool, and based on last year’s winner, the estimated Grand Prize will be $2,000! 2nd Prize is estimated at $1,200, and 3rd Price is estimated at $800. The more tickets you buy, the more chances you have to win! Tickets are only $5 apiece, or $25 for a 5-pack.